Moving curiously slower, with a slight wiggle to the left and a hasty waggle back to the right, our family’s favorite caterpillar twirls its way forward. With her faced pressed against the aquarium glass wall, in a tone of angst, my little girl asks, “Daddy, what’s wrong with Fuzzy?” My assurance that Fuzzy and his actions are precisely the way nature intended is met with “then why does he look sick?” from inquisitive Emily. 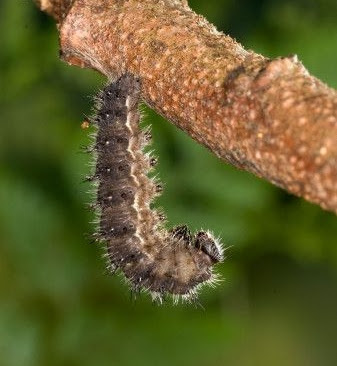 For the next several minutes I shared the enchanting metamorphosis story of a caterpillar turning into a butterfly: how the journey of a caterpillar is one of crawling and climbing, but its quest is to soar far above the foliage it consumes. Emily’s eyes glistened brighter with every word as her young mind was enlightened with the guiding truth of how life ascends toward new heights. You know all about the “Information Superhighway.” It’s an international conglomeration of computer networks, a relentless emerging infrastructure that’s revolutionizing communications and methods of commerce. Also referred to as the Internet, it offers access to information and supports written communication through e-mail and various forms of electronic conferencing. And unless you’re a computer programmer or Al Gore, this last paragraph has done little to spark enthusiasm in your heart. Though the paragraph is factual and informative, this alone will not win the hearts of men and women. There is no lack of information on this electronic boulevard. However, there is a disconcerting lack of spirit. A lack of vision to connect with people so they feel extraordinary. A lack of passion to seize the heart and challenge the soul. A lack of inspiration to give people meaning and purpose, to join others who share fundamental values in something profound. The Internet’s organic journey was powered by scientists and technologists consumed with a different passion. Masterful engineers of hardware and software worked with experts in design and usability, all motivated to achieve one thing . . . the seamless distribution of communication. But an awakening must happen in order to understand that the Internet’s true quest is not merely to deliver communication, but rather to shape a message so it will strike emotion, engender trust, and persuade people to take action. Charities, our slumbering giant, possess the most powerful messages to capture hearts for the remarkable; however, most utilize their fifteen megabytes of fame to present static corporate-speak taken straight from an annual report. Many nonprofit websites are cluttered with facts, figures, and informative activities; very few sparkle with impact and personality. Certainly, the good news for charities is that the possibilities to inspire are endless. Furthermore, like all processes, change is inevitable, so it will be the champions of philanthropy who will usher in the transformation of the “Information Superhighway” to the “Inspiration Superhighway.” Just like the caterpillar, our quest is to soar high above where we began. 1. Establish one over-arching goal for your organization’s website. Though I have an open mind, I cannot imagine the ultimate goal to be anything other than to raise money. You may have other objectives for individual web pages, but they should support the achievement of the primary goal. Most charities do not exist to produce informative websites on a particular subject matter. Therefore, ensure that this medium is working to raise money so you may go out and fulfill your mission. 2. Make an impression. Often people will forget the details of a particular encounter, words that were spoken, one’s attire, etc., but they will never forget how you made them feel. Therefore, have a vision to present your message in such a way that people will feel extraordinary about themselves. 1. Embrace clarity: concise, straightforward communication to help the reader grasp the gravity of the situation. 2. Engage the reader by bringing them into the story. Explain their critical role so they feel important and a part of something greater than what they can do on their own. 3. Encounter the heart with picturesque phrases. Write like a painter, so the reader can visualize and feel the power of the story. 4. Select the most interesting perspective from which to tell your story. Each story can be told from various points of view. Captivate the reader’s mind by letting them see reality from the most fascinating angle. 5. Find your organization’s voice, a unique blend of charisma, courage, and concern. This will help differentiate your charity from the next in the minds of prospects and donors. 6. Be persuasive by first understanding the specific action you want the reader to take. Then, through images and words, direct the reader to see themselves taking that action. 8. Illustrate your mission through images and pictures. Allow people to become inspired by your visual presentation. It has been said that the eyes are the window to the soul. Keep that in mind when you choose the photos for your website. 10. Write in an active and conversational style. The Internet is the most powerful marketing medium because you can have a conversation. Don’t speak to people as if they are reading your corporate brochure, but rather as though they were sitting across from you. 11. Stop spending 90% of your organization’s resources on technology and only 10% on your online message. Let others chase the latest technology solution for you, which is always changing and will always be readily available. It’s the words, imagery, and personality you present that will stand out in the hearts and minds of people, not the flexing of your proverbial “Flash” muscle. 1. They seize the reader’s attention. 2. They inspire the reader on an emotional level. 3. They spark curiosity, which motivates the reader to continue. 1. Make a good first impression. In seconds, people will determine whether they should stay or go; therefore, the words and images of your homepage must communicate the most compelling reasons that will motivate people to action. How many times have you walked out of McDonald’s or kept driving if the line was too long, despite your belief that waiting 20 minutes for a table at a nice restaurant is not a big deal? You must not hide your best stories deep within your website. Adopt the mindset that you must instantly inspire. 2. Keep in mind, a book-reading atmosphere does not exist with the Internet. People are not curled up in a big comfortable chair, turning pages beneath soft lighting. Rather, they sit in a chair designed for work, vigorously scanning, clicking, and scrolling. This is how people navigate through information online – so make sure your inspirational message is presented in the most convenient form. 3. Each page of your website should have an objective with the visitor in mind. Help the reader find answers so they can discover their own passion as quickly and efficiently as possible. Emily can’t wait for Fuzzy to wake up now that she knows everything is all right and how beautiful he will be. She’s excited to see him fly free, to watch him soar as high as he wants to go. My promise to Emily is that Fuzzy will break out of his cocoon at any moment, and this is my vision for you. To help you see what is truly possible, to give this Information Superhighway a soul. Who better to replace mere information with inspiration than you, a champion of philanthropy? P.S. 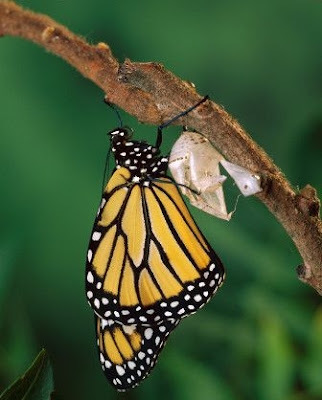 Okay, I know that Butterflys come from chrysalis and Moths come from Cocoons but who knows that . . . really?